Sparmax DH-810 Tan Spray gun for airbrush compressors. 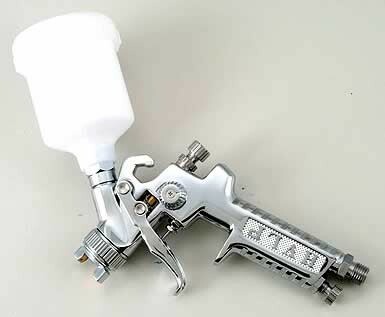 Professional Quality Gravity feed HVLP spray gun for use with twin cylinder airbrush compressors. This is a gun only and requires a compressor (not supplied) for operation.